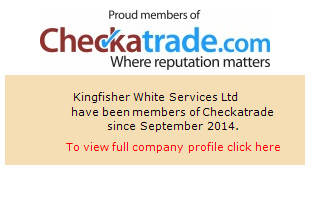 At Kingfisher White we provide your 1 stop solution to your Gas, kitchen appliance and general plumbing needs. Our prices are very competitive and our engineers very knowledgeable about the systems we cover. We are a Gas Safe registered and kitchen appliance repair and servicing company. Our engineers have over 10 years’ experience within the appliance repair and Gas services field. We are currently working with some prestige letting agents and also major insurance companies including 0800repair providing excellent customer service and turnaround time for each job. If you require a quote for any repairs, installations or plumbing work then please do so via our contact page or on the number shown. We cover most parts of Greater London, so please contact us to confirm if your area is covered.